The Old Town Playhouse is kicking off its 2015-2016 season with a Shakespeare comedy. 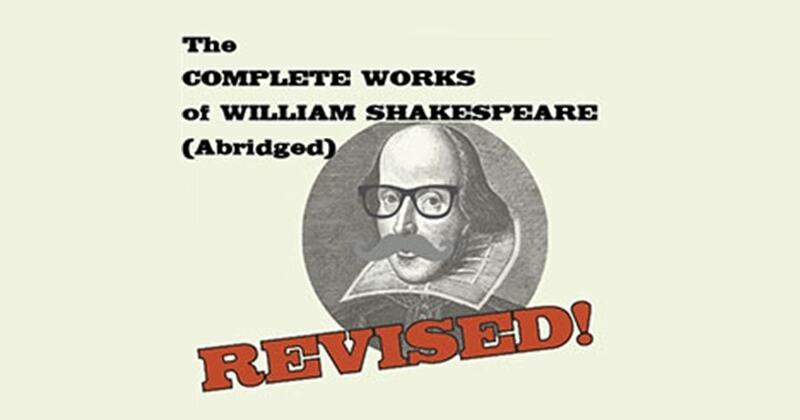 The Complete Works of William Shakespeare (Abridged) [Revised] is an irreverent, fast-paced romp through all 37 Shakespeare plays in 97 minutes with three actors. These madcap men in tights will weave their way through comedies, histories, and tragedies in one wild ride that will leave you breathless with laughter. Showtimes for this Traverse City event begin Friday, October 16 and run through Saturday, October 31. Purchase tickets for this event at MyNorthTickets.com.